It may seem like a decade ago, but Katy Perry's superbowl performance was literally this year. Weird, right? All the way back in the month of February we were introduced to the little dancer that could but didn't: Left Shark. 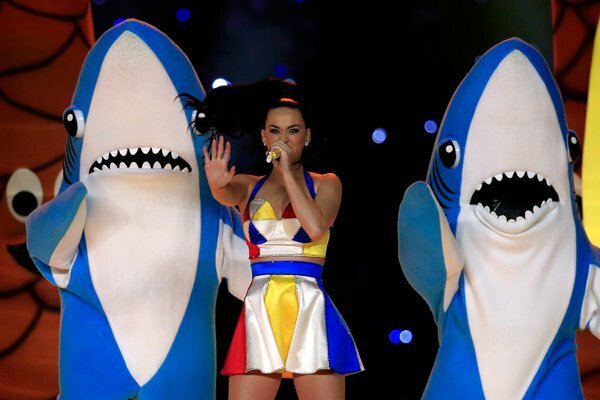 Since then, Katy has shut down other Left Shark distributors and filed for a trademark to protect the Left Shark brand. This is not unusual. Plenty of stars trademark their intellectual property to slow down the growth of counterfeit or unauthorised merchandise being sold. Earlier this year, Katy put a stop to a man selling 3D print outs of Left Shark with a strongly worded cease and desist letter. Unfortunately for Katy, her Left Shark trademark petition has been denied on the grounds that…well..it's not that unique. Ouch. Next time Katy wants to trademark something, she should probably try being Taylor Swift.